Written by and starring Neil Jackson, Wish You Here was shot in Sydney, Australia. The film was a finalist at Tropfest 2016 – the world’s largest short film festival – Wish You Here was nominated for best film and best screenplay, and won the awards for best cinematography and best original score. The film was produced by Wendy, Honey, and co-produced by Paper Dragon Productions. 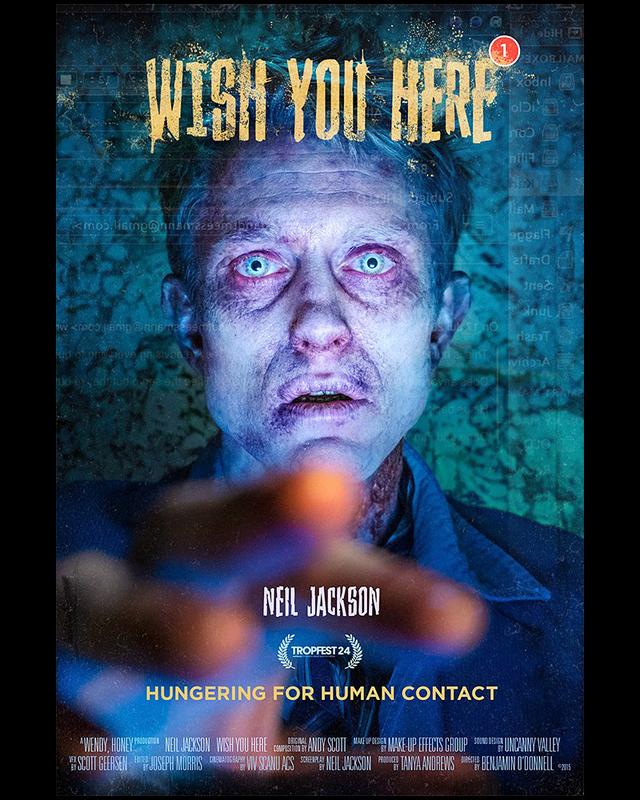 Wish You Here tells the story of Karl, a lonely zombie, who desperately craves company in a dead and empty world.